Only resolution with height of 768 pixels is available. Fullscreen will scale the resolution with bilinear scaling to match desktop resolution. Workaround only works with 768p resolutions. 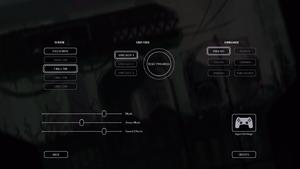 Parallax effects can affect performance, especially in the main menu and during cut-scenes. Create an empty text file called flatmode.txt. If crashing/freezing occurs after hibernation or death use Flatmode Fix. 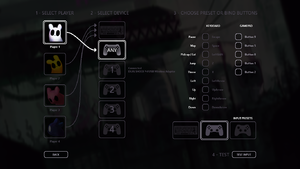 Input method choice given during initial launch, can only be selected with mouse. Mouse are not used in-game. 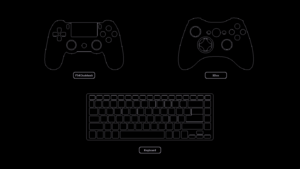 Initially launching the game requires mouse to select input method. Control scheme has to be changed from the main menu. Seems to affect mainly Windows 7 users, most likely because of the game not having access to enough RAM. Freeing up RAM by closing background applications or increasing the page file size may help. Check Custom size and input your numbers. It is best to put the initial size the same as 'Recommended', and the max size around 1.5-2x that value. Remember to press Set before pressing OK.
To visit a list of available mods, go to raindb.net. This includes partiality mods, standalone mods, fixes and tools. Check out the tutorials for information on how to install them. Create an empty text file called unlockred.txt. ↑ 3.0 3.1 File/folder structure within this directory reflects the path(s) listed for Windows and/or Steam game data (use Wine regedit to access Windows registry paths). Games with Steam Cloud support may store data in ~/.steam/steam/userdata/<user-id>/312520/ in addition to or instead of this directory. The app ID (312520) may differ in some cases. Treat backslashes as forward slashes. See the glossary page for details. 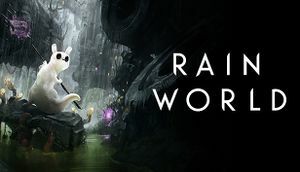 ↑ HELP PLEASE :: Rain World General Discussions, Flatmode Fix. ↑ Way to play Hunter without finishing Survivor? This page was last edited on 9 April 2019, at 08:39.